@TLabs , I don't think that's a real university. @TLabs , I appreciate your post! My nephew is 6 and has been blind since birth and I hate when I see people automatically assuming that guys like this are lying about their vision. 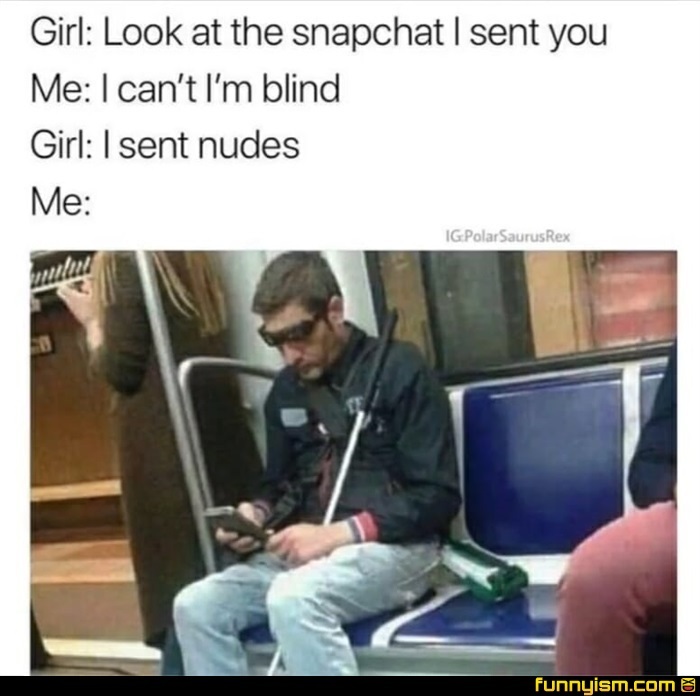 I’m blind, can someone send me nudes?